NASSCOM (National Association of Software & Service companies) a chamber of commerce of IT Industry set up to address IT issues. NASSCOM Foundation (NF) is a charitable organization registered under the Indian Trust Act 1882. NF’s vision is to leverage all the resources of the IT/ITES industry to enable Education, Health, Employability and Entrepreneurship for underserved communities. NF’s endeavor is to leverage skill & resources of Information Technology Industry towards deployment of its applications that can impact development and thereby improve human development indicators in general and underserved and disadvantaged in particular. To meet its objective NF has launched “NASSCOM Poverty Alleviation Program” and is implementing it through its NASSCOM knowledge Network partners across the country. We are one of the partners of NASSCOM Foundation. For further information about NASSCOM Foundation visit www.nasscomfoundation.org . Suraj Foundation has been actively working with farming community through its arm Krishna Valley Advanced Agricultural Foundation. It has arranged for trips for farmers to Israel, Holland, China to get an insight into the working of farmers in other countries. KVAAF also trains agricultural graduates to become entrepreneurs. This program is taken in association with MANAGE Hyderabad. For further information about MANAGE visit www.agriclinics.net . ni-msme, since its inception in 1960 by the Government of India, has taken gigantic strides to become the premier institution for the promotion, development and modernization of the SME sector. An autonomous arm of the Ministry of Micro, Small and Medium Enterprises (MSMEs), the Institute strives to achieve its avowed objectives through a gamut of operations ranging from training, consultancy, research and education, to extension and information services. We engaged in skill building training all over Maharashtra in partnership with NIMSME. So far we have trained almost 1000 Sunderprivileged women & men in different traits and most of them have started some sort of business &/or have joined some related employment. 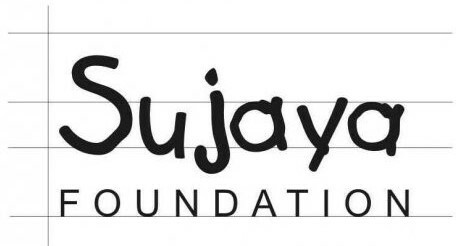 Sujaya Foundation gives underprivileged children and youth an opportunity platform to launch them into the dignified and bright future they deserve. We bridge the digital and linguistic divide through Education. We teach underprivileged school-going children Mathematics, Science, English and Computers; as also English and Computers to underprivileged youth, giving them a much needed equal opportunity boost. Under our SEAL program run jointly with Sujaya Foundation Mumbai enables students speak fluent English making them capable to compete with urban students.